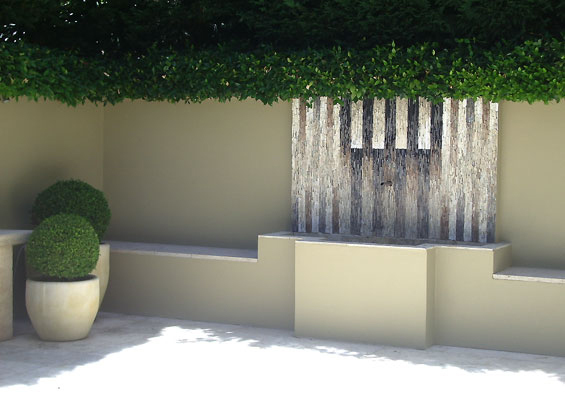 Retaining walls, decorative elements, feature walls. Liven up a shaded garden with permanent colour. Brighten up a dark courtyard. 106cm x 106 cm square. Inspired by the existing shape of the water trough and the dark grey railing surroundings.